Adopting a new approach to applicant pool marketing and engaging a new public relations agency, Truth Collective, in implementing a new campaign. This includes drawing $525,000 from ASCO’s reserves to jump start the campaign. Creating a task force to explore alternative applicant testing mechanisms (alternatives to OAT) for use in making admission decisions. Restructuring ASCO’s Annual Business Meeting, using a more standard format for association annual meetings. Moving the 2019 Summer Institute for Faculty Development from St. Louis to Fort Worth, Texas. Alcon has generously offered its corporate facilities there to house the event. Conducting an RFP for a consultant to assist in assessing the need for and the process by which the association staffs an effort to build diversity in the applicant pool. Doing an RFP for advocacy support. 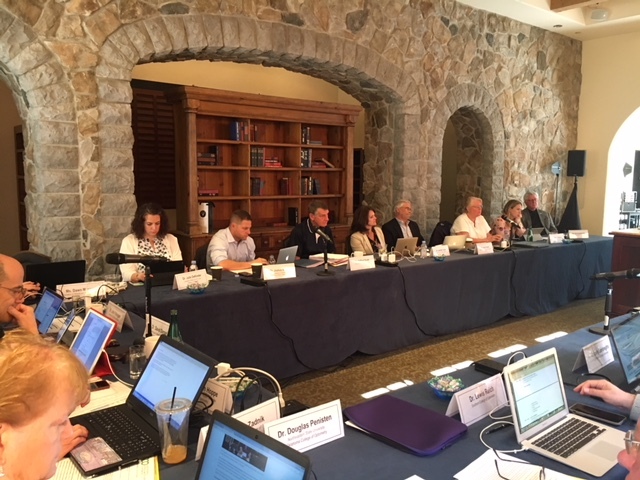 Convening a meeting of all optometry schools and colleges during the 2019 World Council of Optometry meeting scheduled for October 23 – 28, 2019, in Orlando, Florida. Other topics discussed included an update on advocacy issues, changes happening within the Department of Veterans Affairs, a new direction for the Inter-Organizational Communication and Collaboration Committee (IOCCC), updates about the National Board of Examiners in Optometry (NBEO), the prioritization of ASCO’s strategic initiatives (part of the organization’s new strategic plan), and the consideration of proposed changes to ASCO’s Traffic Guidelines for Admissions. 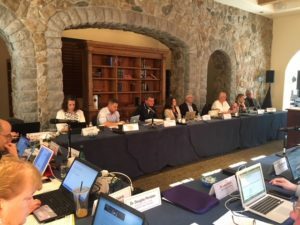 The meeting was held on April 14, 2018, in Santa Barbara. The next meeting of the ASCO Board of Directors will be held on Tuesday, June 19th in Denver, Colorado. © 2013 ASCO. All rights reserved.